Starting as a heavy industrial area and warehouse district, River North was far from what we know it as of today. In the early 1970’s when the warehouses closed down, different artists and authors moved into the loft and studio space that was the start of the well-known artistic neighborhood. Today, people know this popular area as a gallery and restaurant district. The near River North area is home to one of the U.S.’s highest concentrations of art galleries. The area also features antique stores, boutiques, and a large dining selection. Some of the most noted galleries include the Jean Albano Gallery, showcasing contemporary art, and the Weinberg/Newton Gallery. They work to create a consciousness in our culture and inspire change with exhibitions, discussions, film screenings and much more. As one of the highest reviewed galleries, it is a must see for locals and tourists alike. Packed with over 100 restaurants within its boundaries, both locals and tourists can find all different types of cuisines here. From Brazilian, to Italian, vegetarian, contemporary, and an abundance of juice bars and coffee shops, there’s something here for everybody. Some stand out restaurants include Beatrix, contemporary and health conscious American fare with a trendy ambiance, and Big & Little’s, a funky, fast food joint serving some of the best dishes in the city. Big & Little’s was also featured in Guy Fieri’s ‘Diners Drive-ins & Dives’! If you’re in the market for an unforgettable steak or seafood dinner, check out Joe’s Seafood, Prime Steak, and Stone Crab. In River North, you’re never more than steps away from unbelievably fresh seafood and steaks. Benny’s Chop House on Wabash is known for its incredible oysters and decadent seafood tower. Be sure to check out Bavette’s Bar and Beouf for excellent steak tartare or hop next door to Gilt Bar and enjoy unbelievable truffle pasta in the library room, where the ambiance has a 1920’s flare. One of the most prominent nightlife neighborhoods in the downtown area, near River North is home to some of the best spots on the social scene. From high end bars, to charming dives, to nightclubs there is something here for every type of night out. One of the highest ranked bars is Celeste; an upscale bar serving delicious cocktails in the heart of River North on Hubbard Street. Some of the most notable nightclubs include Studio Paris (many celebs have been seen here! ), Underground and Joy District. Some other notable mentions include Untitled Whiskey Lounge, a speakeasy style bar with live music, Three Dots and a Dash (tiki bar inspired) and the Flamingo Rum Club – fun, upscale bars to visit for a great time! 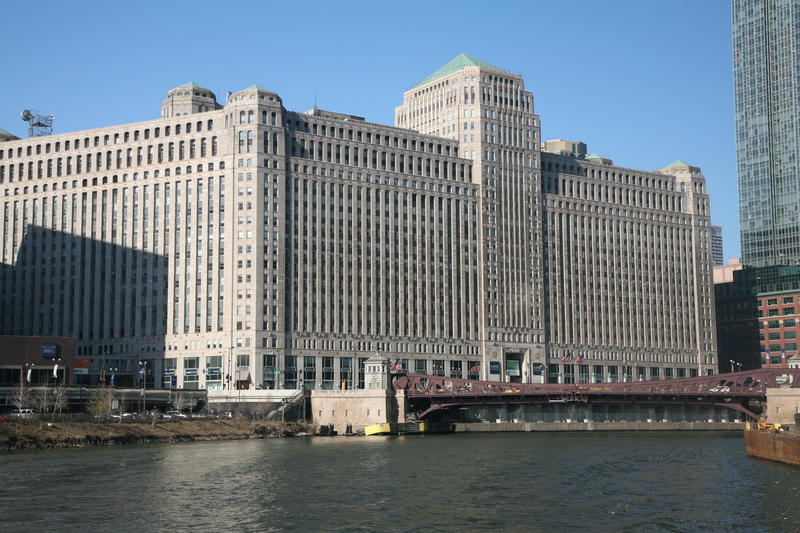 When Merchandise Mart first opened back in the 1930’s it was the worlds largest building with an astounding 4,000,000 square feet of floor space! Up until 2008, the Mart also held its own zip code until being added as part of the River North neighborhood. It houses architectural and interior design vendors, design center showrooms, events, food and classes, as well as 1871, a tech-centric start-up incubator. The CTA Brown and Purple “L” lines run through Merchandise Mart, allowing direct access North to Wilmette, Evanston’s Northwestern University Campus, and through Lincoln Park and Lakeview, as well as around Chicago’s Loop. River North residents enjoy being walking distance to the Loop, Lake Michigan, dining, and the theatre district, while still having a tree-lined, residential neighborhood feeling at home with lots of nearby green space, like Montgomery Ward Park. 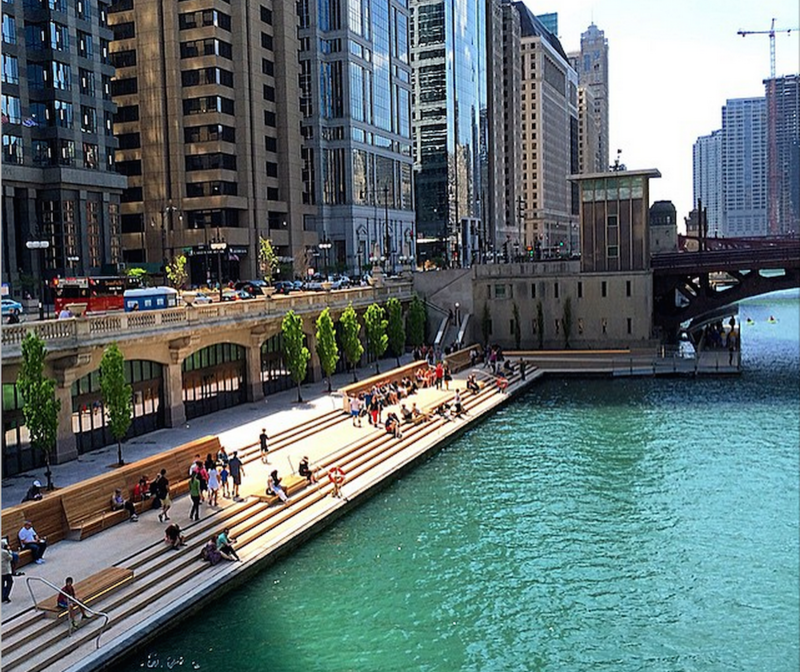 The River Walk is also a stunning outdoor amenity. It is a perfect place for anyone looking for a walkable neighborhood. There are plenty of salons and boutique fitness spots. 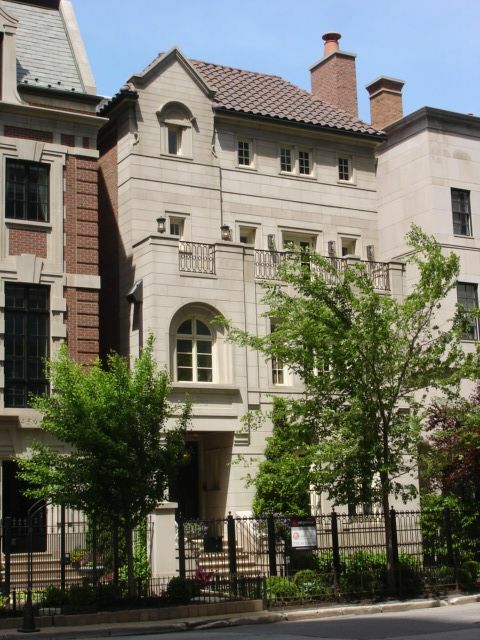 Housing varies between luxury highrises, brown and grey stones, and both historic and modern mansions. River North is also a very dog friendly neighborhood. Popular dog spots include Ohio Street Dog Park at 630 N. Kingsbury, Ohio Place Dog Park at 350 W. Ohio, and PUPS doggy daycare at 316 W. Illinois. Erie Café, a popular local Italian steakhouse, even allows dogs in its outdoor seating area! Looking for luxury condos for sale near River North? Visit our sales site! We’d be happy to keep you in the Loop!